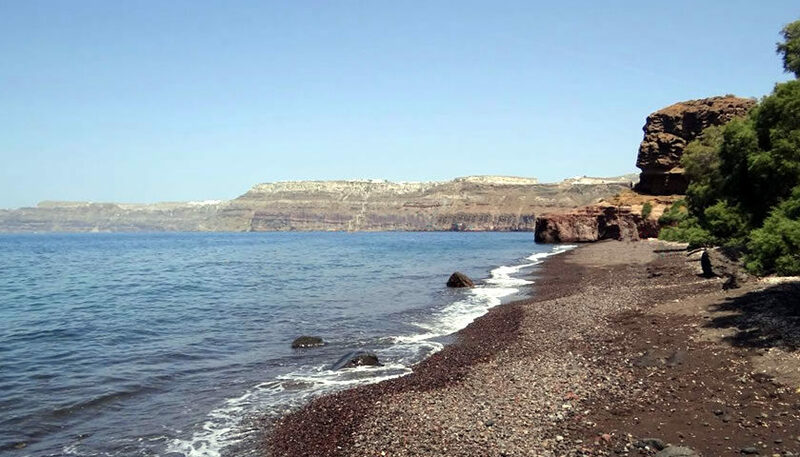 Apothikes beach is a scenic beach located close to Akrotiri, overlooking caldera villages, the volcano, as well as Thirasia island. 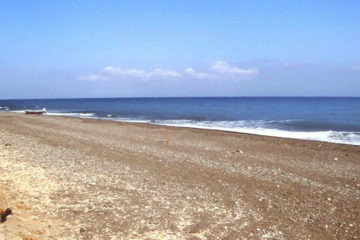 It is quiet with black sand and pebbles and deep, clear waters. Sunbeds and umbrellas are available for rent. 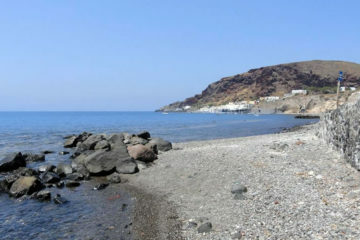 Next to the beach there is a restaurant with nice view to the caldera where you can have a lunch or dinner. Access by car is very easy. On the main road to Akrotiri, before entering the village, you turn to the right in a narrow road. 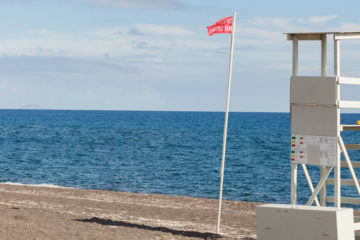 After 500 meters you reach a parking space where you can park your car and enjoy the beach.